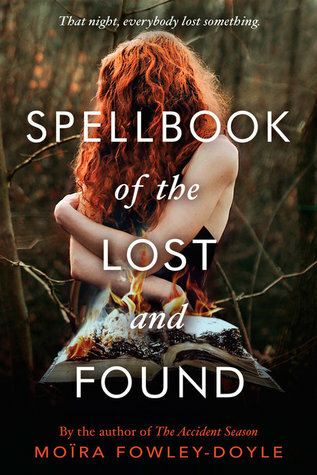 Moïra Fowley-Doyle’s Spellbook of the Lost and Found has a great cast of characters, but at times becomes convoluted because of said characters. After the night of the traditional bonfire, Olive wakes up unable to remember the night before. She isn’t the only one, her best friend Rose can’t remember either. Then important items begin to go missing around town. Whispers of a thief in town is the first conclusion everyone reaches. For Laurel and her friends, the world begins to shift beneath them when their diaries go missing. In a desperate attempt to get them back, they cast a spell to find what was lost, but it may have unforeseeable and lasting consequences. Hazel and her brother Jude are running from their pasts, but secrets don’t always stay hidden and these teens’ lives are about to collide. The first thing that struck me about this book was the amount of characters involved. There are three separate stories unfolding at once, three separate narrators, and three groups of characters needed to keep track of. Early on, it was almost impossible to tell which characters were essential to the plot and which I could dismiss. Not only is it important to create narrators with distinct voices, which I discuss next, if you have a large cast of characters, it’s important to show early on who the readers should spend time investing in. Olive, Laurel, and Hazel narrator this book in alternating, first-person chapters. Their voices however are far too similar, especially early on. I had to often turn back to the beginning of a chapter or refer to my notes to remind myself which character was narrating. I did really like characters like Olive and Rose, who felt more fleshed out than the others. More minor characters like Ivy and Holly, who did ultimately have roles to play, did not feel quite as well-rounded. I loved that this novel features so many female characters. There are arguable two relevant male characters compared to seven essential female characters. I also appreciated the different female relationships found in this novel. There are close friendships that are put to the test. Loyalty is tested and sometimes characters fail to do what is right. There are unrequited crushes where wandering gazes only end in broken hearts. And then there are characters who experience love for the first time, where the giving of oneself is both scary and exhilarating. Moïra Fowley-Doyle’s writing is just as lyrical as her debut The Accident Season, but didn’t quite cast a spell over me like the first. Still, if you enjoyed her previous work, you may find yourself charmed by Spellbook of the Lost and Found. This book! This book! I really loved this book. 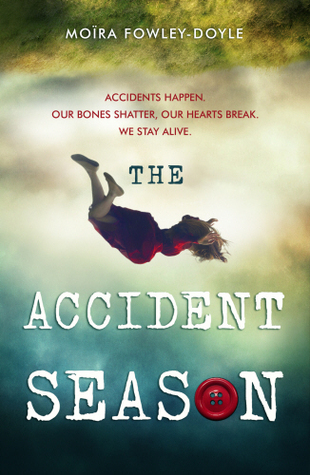 If you’re looking for something different with magical realism or paranormal elements for this month, I’d recommend picking up Moïra Fowley-Doyle’s The Accident Season. Cover linked to Goodreads. “Every October Cara Morris and her family slip on an extra sweater, pad the corners of tables, and avoid deceptively innocuous activities like walking across bridges. It is the accident season, when bruises and broken bones aren’t just possible, they’re guaranteed in the Morris household. But this season promises to be one of the worst and the last time that happened, someone died. When Cara stumbles upon a mystery, she, her best friend Bea, and ex-stepbrother Sam will uncover secrets that will turn their world upside down.” See my full review here. Every October Cara Morris and her family slip on an extra sweater, pad the corners of tables, and avoid deceptively innocuous activities like walking across bridges. It is the accident season, when bruises and broken bones aren’t just possible, they’re guaranteed in the Morris household. But this season promises to be one of the worst and the last time that happened, someone died. When Cara stumbles upon a mystery, she, her best friend Bea, and ex-stepbrother Sam will uncover secrets that will turn their world upside down. Moïra Fowley-Doyle’s The Accident Season has a unique premise and her beautiful writing is sure to cast a spell on readers (or at least this one). For as long as Cara can remember, her family has always been susceptible to a myriad of mishaps during every October. These can be as simple as a twisted ankle or a cut on the hand, but it can also end with trips to the hospital and tragic deaths. Cara’s life has always been peculiar, but things get even stranger when she tries to find a fellow classmate that no one can quite seem to remember. Cara’s mind often wanders, blurring the line between what is real and what is fantasy, but behind her strange visions lies the truth about the accident season and her mysteriously missing classmate. All the characters in the novel are incredibly complex and their stories are guaranteed to move you emotionally. Cara’s best friend Bea has embraced the weird persona so many are eager to label her with. She uses her tarot cards to understand the world, but also as a defense mechanism against reality. Sam, whose father left Cara’s mother years ago, leaving him with a family who isn’t quite his family, isn’t sure where he belongs and harbors a lot of anger toward the parent who abandoned him. Practical Alice, Cara’s older sister, doesn’t buy into the accident season, every injury is just a coincidence and her tendency to hold things in can be self-destructive. Cara would like nothing more than everything to stay the same, her imagination is a way for her to cope with things in her life she hasn’t been able to accept, but when things don’t quite makes sense, she’s determined to find out the truth. Each character has their own secrets; they’re harmful, complicated, and heart-breaking and in the end, incredibly eye-opening. 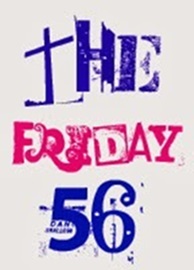 I expect some readers will take umbrage with the pacing of the novel, but others will be too enraptured by the ethereal setting that this won’t matter and the ending will be more than enough to satisfy them. Fowley-Doyle’s The Accident Season is an eerie, yet enchanting debut novel and I cannot wait to read more from her.